Our use of 'potential exclusion' in the preceding paragraph is significant. It seems often to be forgotten that the existing 12-month 'grace period' is predicated on the first-to-invent principle. That is, you can only overcome the prior disclosure of another party during the 12-month period if you are able to 'put you hand on your heart' and swear that you had made the invention before that disclosure occurred. In certain circumstances, you might also be required to prove this. There has been substantial and vocal opposition to the change to a first-to-file system from a number of groups within the US, most notably those purporting to represent the interests of individual inventors, small businesses and startup ventures. 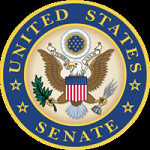 As a result, on Thursday 3 March 2011 the US Senate debated a proposed amendment to the patent reform bill offered by Senator Diane Feinstein (D-CA) relating to the removal of first-to-file provisions. Following the debate, a vote was taken, with the result of 87-13 against the proposal. The Feinstein Amendment therefore appears to be dead, and there is now a very real prospect that the Bill will be passed in the US Senate with the first-to-file provisions intact. This would still have to make it through Congress, but there now appears to be real momentum, and undoubtedly bipartisan support for these reforms. Could we be seeing history in the making here? I'm still a skeptic that it will ever get passed, but it is making more progress than it has for years. My concern is that any substantive change to Section 102 will lead to a period of uncertainty until we have a new body of case law to guide its interpretation and application.